The Science of Stories explores the role narrative plays in human life. Supported by in-depth research, the book demonstrates how the ways in which people tell their stories can be indicative of how they construct their worlds and their own identities. Based on linguistic analysis and computer technology, Laszlo offers an innovative methodology which aims to uncover underlying psychological processes in narrative texts. The reader is presented with a theoretical framework along with a series of studies which explore the way a systematic linguistic analysis of narrative discourse can lead to a scientific study of identity construction, both individual and group. The book gives a critical overview of earlier narrative theories and summarizes previous scientific attempts to uncover relationships between language and personality. It also deals with social memory and group identity: various narrative forms of historical representations (history books, folk narratives, historical novels) are analyzed as to how they construct the past of a nation. 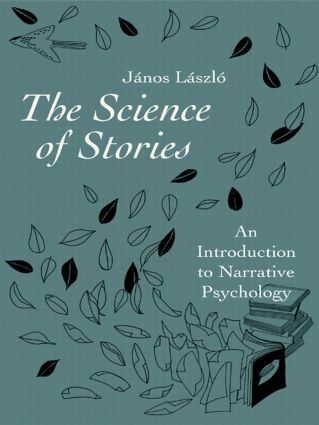 The Science of Stories is the first book to build a bridge between scientific and hermeneutic studies of narratives. As such, it will be of great interest to a diverse spectrum of readers in social science and the liberal arts, including those in the fields of cognitive science, social psychology, linguistics, philosophy, literary studies and history.